The demand for relatively lower cost trainer / light attack aircraft in Asian Pacific has been an attractive proposition to countries needing to upgrade legacy aircraft while providing dual-mission capability. The combat airpower market in the vast Asia Pacific region has been characterised by two major trends in the past decade and a half. The first is the success of the Russian Sukhoi Su-27/30/35 Flanker family of heavy fighters, and the second is an explosion of demand for cheaper aircraft which can perform the dual function of fighter lead-in trainer and light attack aircraft. Light combat aircraft such as the Yakovlev 130 / Aermacchi M-346, BAE Systems Hawk 208/9 and KAI T-50 have found great success amongst the smaller air forces in Asia Pacific. For many nations which face internal insurgencies, and whose armed forces are generally organised for relatively low level combat operations, light combat aircraft make ideal candidates to exercise airpower in the region. In general, light combat aircraft are characterised by high subsonic speeds, significantly smaller size and lower operating costs when compared to frontline fast jet types, and the ability to employ an impressive arsenal of high tech air-to-ground and sometimes air-to-air weaponry from multiple external hardpoints. Since most are derived from lead-in fighter trainers, they typically possess forgiving flight characteristics and are designed to be intuitive for new pilots to master, which reduces training burdens and contributes to keeping accident rates lower than for the majority of their supersonic fast jet counterparts. However, on the flip side they are unable to offer the aerial deterrence capabilities of true fast jets against potential state opponents being too slow, unable to fly at extremely high altitudes, mount powerful radars or manoeuvre successfully with fast jets in a within visual range combat scenario. Part of the reason, therefore, why light combat aircraft have proven so successful in recent years in the Asia Pacific defence market is the downgrading of many smaller nations’ requirements for defence capabilities against their neighbours in traditional high end warfighting scenarios. Overwhelmingly, the rise of China as a modern military powerhouse aiming to compete directly with the might of the United States for influence in the region has forced many smaller nations to accept that conventional military defence capabilities are likely to be of little use if they ever found themselves on the receiving end of Chinese (or American) military pressure. At the same time, insurgencies have continued to be a thorn in the side of many regimes and insurgent groups have been able to leverage many advantages from advances in portable weapons systems technology and ‘crowd-sourced’ ISR capabilities in the form of ubiquitous mobile phones. This has fuelled demands for airpower capable of supporting ground forces or even conducting punitive strikes without needing to place ground forces at direct risk in extreme cases. Traditionally, helicopters have tended to fulfil this role better than fixed wing aircraft in lower intensity conflicts, but MANPADS proliferation especially from China and North Korea has made rotary winged assets more vulnerable than in previous decades. At the proven, traditional end of the Light Combat Aircraft spectrum is the BAE Systems Hawk 200, a single seat attack-orientated derivative of the extremely successful Hawk T.1 lead in jet trainer. The Hawk 208 is the version designed to Royal Malaysian Air Force (RMAF) requirements and the Hawk 209 for the Indonesian Air Force. 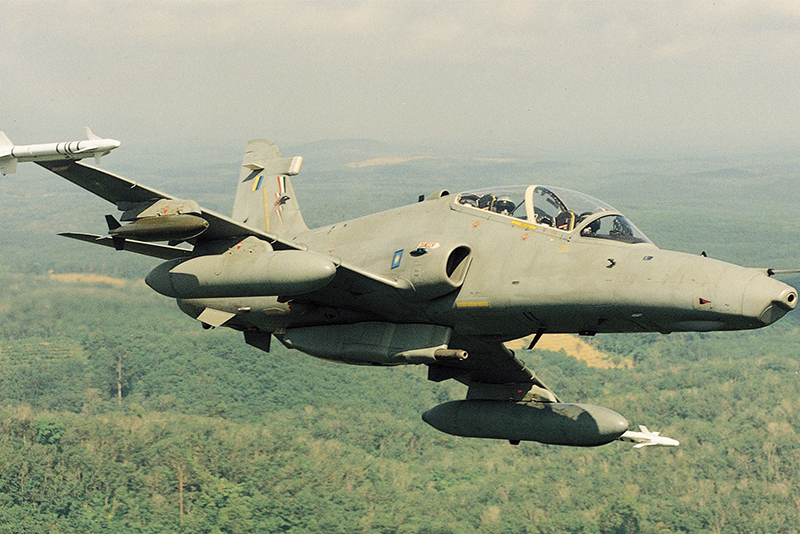 Both contracts were delivered during the 1990s and orders were for 18 Malaysian and 36 Indonesian aircraft. The Hawk T.1 has long offered customers limited combat capabilities in addition to the aircraft’s primary role as an advanced fast jet trainer. The combination of excellent subsonic agility, good fuel efficiency and adequate load carrying capabilities on a low cost and reliable platform has ensured the basic Hawk airframe has seen huge export successes and the Asia Pacific is no exception. The most significant change made to create the Hawk 200 light combat aircraft series was that the front cockpit usually provided for student pilots was replaced by a new nose section containing a combat-oriented avionics suite including a slightly smaller derivative of the F-16 Fighting Falcon’s AN/APG-66 multimode pulse doppler radar and a Forward Looking Infra-Red (FLIR) sensor. Upgraded fire control computers and enhanced hardpoint provision on the Hawk 200 allow the carriage and employment of a variety of potent Western air-to-air, air-to-surface and anti-ship weapons including the Sting Ray Torpedo, Paveway II laser guided bombs, AGM-65 Maverick anti-armour missiles, AIM-9 Sidewinder and AIM-132 ASRAAM heat seeking air to air missiles and radar-guided AIM-120 AMRAAMs. Perhaps just as importantly, the Hawk 200 comes equipped with a radar warning receiver (RWR) to allow it to detect potentially hostile radar signals, and chaff and flare dispensers to help decoy incoming missile threats. These allow what was previously a trainer with limited combat capabilities to potentially operate not only in the face of reasonably well equipped insurgent forces at less serious risk than either rotary winged gunships or more ad-hoc armed trainers due to its flexible weapons fit and defensive aids, whilst still at a much lower cost than a traditional fast jet equivalent. The Royal Malaysian Air Force (RMAF) uses its fourteen Hawk 208s for airspace patrols and enforcement work alongside its eight F/A-18D Hornets, 18 Su-30MKM Flankers and 10 Mig 29N/UBs. They have proven useful for providing additional combat capabilities at limited cost, serving in No.6 and 15 Squadrons, both of which also operate the two seat Hawk 108 trainer. Given the relatively small fleet sizes of the RMAF’s larger fighters, part of the Hawk 208s’ value has been in reducing airframe fatigue burdens on the larger fighters. Five of the Hawk 208s also provided the backbone of airstrikes against Filipino insurgents occupying Tanduo in Lahad Datu district in March 2013, dropping unguided bombs and firing rockets to soften up insurgent defences ahead of a successful ground assault by Malaysian security forces. The M-346 and Yak-130 are derivatives of a common airframe design developed Alenia Aermacchi and Yakovlev between 1992 and 2000. The final production aircraft are extremely similar in terms of capabilities, airframe shape and export focus on the trainer/light combat aircraft niche. The Yak-130 entered service in 2010 and the M-346 in 2015 so both are excellent examples of the most recent trends in this aircraft category. The airframe design chosen for both aircraft combines excellent subsonic agility, low wing loading, twin non-afterburning high efficiency turbofan engines, large high visibility canopy over a twin-seat cockpit and 6000lb-class payload capacity on multiple hardpoints stressed for combat manoeuvres. Both incorporate modern glass cockpits designed to mimic those on the latest generation of frontline fighter aircraft, extremely capable fly-by-wire control systems and large leading edge wing root extensions (LERX) which, along with significantly better thrust to weight ratios, allow for controllability at much higher angles of attack compared to previous generations of lead-in jet trainers/light combat aircraft. The LERX also contribute to the aircrafts’ stability in flight even with relatively heavy ordinance loads relative to their small size. Heavily marketed in the Asia Pacific, the M-346 has been acquired by the Republic of Singapore Air Force (RSAF) and the Yak-130 by the Bangladesh Air Force and Myanmar Air Force with more orders anticipated for both types as nations throughout the region look to replace their ageing F-5 Tiger IIs, Hawks, A-4 Skyhawks, L-39 Albatross and other similar types. 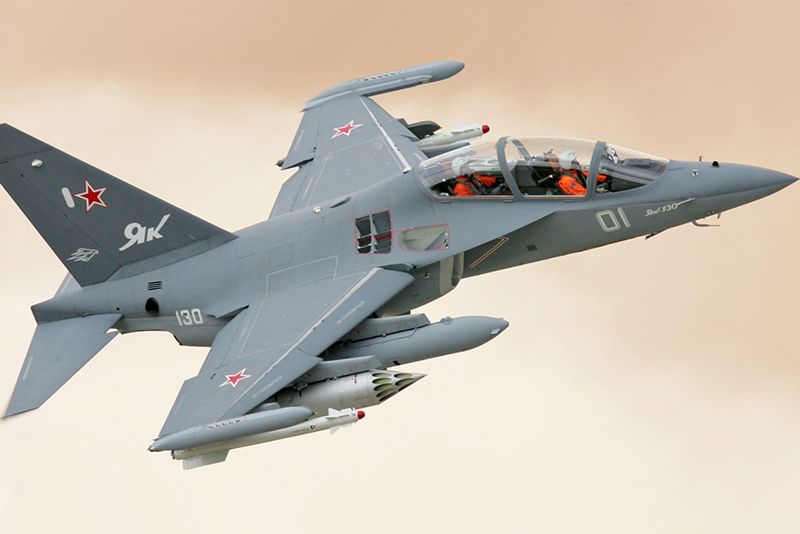 The ability to be rapidly converted from their primary role as advanced jet trainers to light combat aircraft has been designed into both the M-346 and Yak-130 from an early stage of development, and the modern glass cockpit and electronics designed to accurately simulate the latest frontline fast jet types lend themselves well to the integration and use of a huge variety of precision guided munitions, air-to-air missiles and gunpods. Both aircraft can be equipped with defensive aids and the M-346 even incorporates duplicates of all main systems for redundancy along with the adaptive flight control profiles to help the aircraft sustain accidental or combat damage in flight and return safely to base. However, both are also the basis for dedicated light combat aircraft conversions despite their already impressive combat potential in their basic forms. 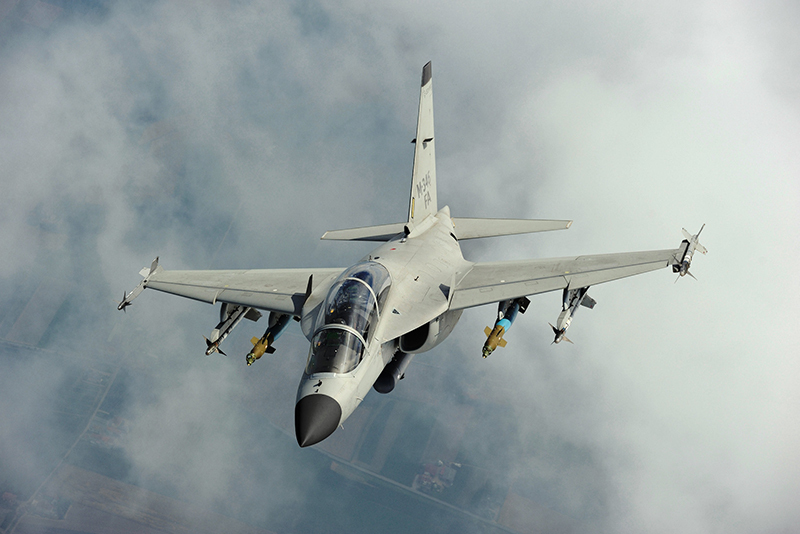 Alenia Aermacchi has developed a prototype dedicated light combat aircraft designated the M-346FA (Fighter Attack) which incorporates a new Grifo-346 radar, enhanced payload capacity, radar cross section reduction features, tactical datalinks and defensive aids as standard. It is being specifically marketed in the Asia Pacific market as an aircraft capable of performing 90% of the functions of a full size supersonic fast jet but at a fraction of the operating and acquisition cost. Whether it, or any of the proposed light attack variants of the Yakovlev version such as the abortive Yak-131 find success in the region is still an open question but the success found by the final aircraft examined in this article suggest that their chances are good. 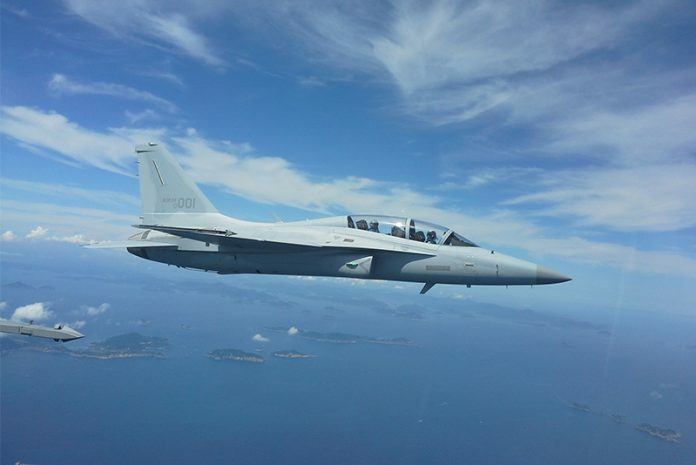 The KAI FA-50 Golden Eagle, developed for the Republic of Korea Air Force (ROKAF) in cooperation with the US defense giant Lockheed Martin, is at the upper end of the light combat aircraft spectrum – close to being a fully-fledged fast jet. Resembling a 2/3rds scale F-16 Viper, and utilising much of the experience gained by KAI in licence manufacturing the latter as the KF-16, the T-50 supersonic jet trainer first flew in 2002. The TA-50 was the first more combat-oriented deriviative of the basic T-50 and introduced an Israeli Elta EL/M-2032 radar and fire control system to enable it to perform the light attack mission in addition to more accurate and thorough training missions for pilots destined to fly larger multirole supersonic fighters. The FA-50 is a dedicated supersonic light combat aircraft and offers multiple options for mounting more powerful radars including AESA types, more powerful engines and comes with increased fuel capacity compared to the T-50 and TA-50. The TA-50 and FA-50 are significantly more capable than more traditional light combat aircraft such as the Hawk 200 series and M-346/Yak-130 in that they are afterburner equipped and, therefore, capable of true supersonic performance and agility comparable to many full sized fast jets. They can also carry a greater payload of up to 8,250lb including a wide range of jamming and electronic warfare pods and larger standoff missiles such as the planned South Korean KEPD 350K-2 which smaller subsonic light combat aircraft would struggle to mount. The TA-50 and FA-50 also come with an internal triple- barrelled 20mm Vulcan cannon which is a more accurate weapon than external gunpods in the close air support role. However, the disadvantage of all these features is that the TA-50 and FA-50 sacrifice a significant portion of the most key advantage of more traditional light combat aircraft over multirole fast jets such as the F-16 and Saab Gripen – low cost. The FA-50 is not much cheaper to operate than the proven F-16 with the latter’s huge global user base and supply chain, and does not offer a comparable level of combat power especially in the air-to-air role due to its lower G tolerance, high-and-fast performance and smaller radar aperture. In spite of its high cost compared to other light combat aircraft and disadvantages compared to regular multirole fast jets, the TA-50 and FA-50 have proven successful in the Asia Pacific, illustrating just how high the demand is for the LCA niche for smaller air forces which cannot afford to throw full size fast jets at ever problem. The ROKAF operates around twenty TA-50s and sixty FA-50s, whilst has received twelve FA-50s to its own specifications, designated FA-50PH and maintains an option to purchase another twelve in the future, whilst Thailand and Indonesia have both ordered the T-50 trainer. 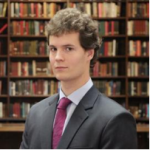 In summary, the imminent arrival of fifth generation fighters in reasonable numbers in the air arms of major powers such as China, Japan and the United States has convinced many smaller nations that trying to compete in conventional deterrence terms with their larger neighbours is unsustainable in fast jet terms. However, the success of light combat aircraft such as the types examined here shows the extend of demand in the Asia Pacific for combat air capabilities that may not offer potent state-on-state performance, but are highly efficient at fulfilling airspace patrol, anti-insurgency and anti-piracy duties at much lower cost than traditional fast jets.